Linssen Yachts, Linssen Yachts Belgium and Jonkers Yachts invite you to the 28th Belgian Boat Show in Flanders Expo – GENT. 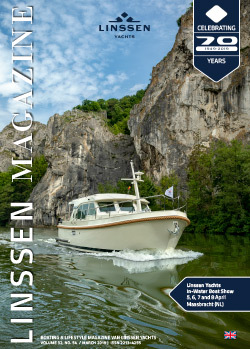 This year we will participate with a Linssen Grand Sturdy 290 Sedan and Grand Sturdy 410 AC. Visit the website of Belgian Boat Show for more information.